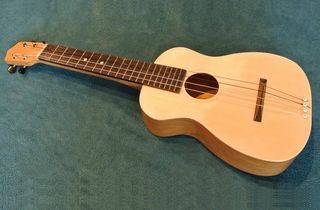 I have been following your ukulele build over the weeks--well written presentation: I can only imagine the time it must take to actually write and figure out the logistics for filming. After seeing the white-painted screw tailpiece, I thought of my own forays into the unconventional aspects of luthiery. 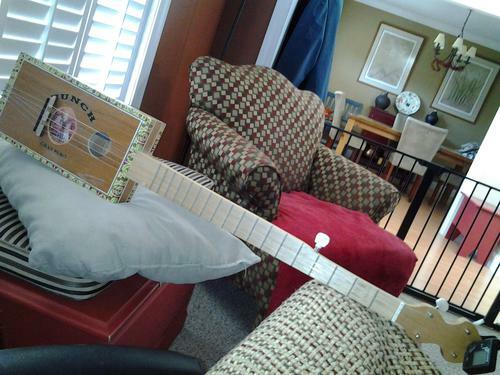 I build guitars and banjos (and recently, a sitar). I sell them sometimes, and occasionally give them away. Many are of available or especially FREE/REPURPOSED materials such as cigar boxes, gas cans, and wine boxes. Two years ago, friends had to threaten me not to embarrass them in restaurants because I kept asking for and occasionally swiping cheap forks for tail pieces on a series of cigar box banjos I was building some local musicians and the father of a friend. 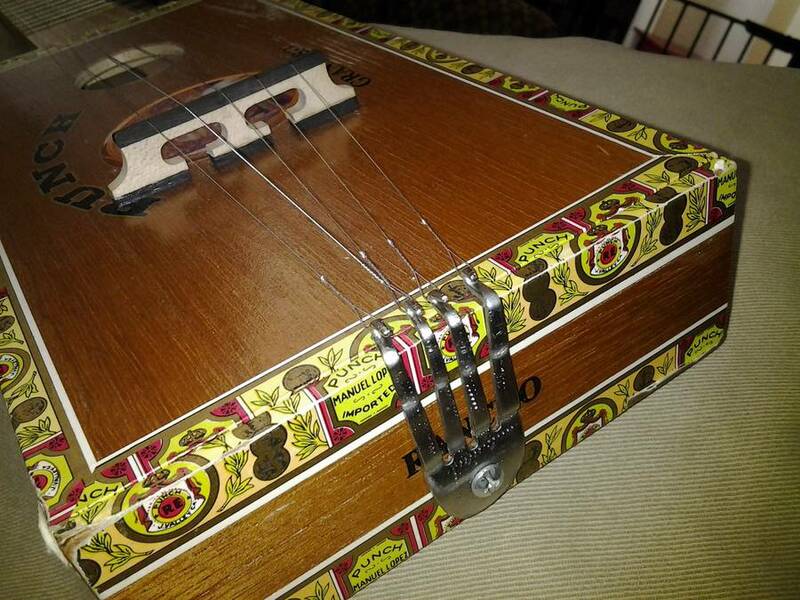 I have 16 banjos — some I built, others that are antiques, but my favourite sound comes from the cigar box banjo of which I have included pictures. Like all craftsmen, luthiers can sometimes be an elitist lot. I delight in doing things that "are just not done" and still achieving the same sound. 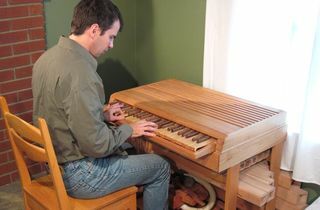 The sound box for a lute instrument like a uke or a banjo: vibration and its relationship to bracing are a factor, but it is hollow body resonance that produces most of the sound. The cigar box banjo shown is too thick walled to really vibrate much and it has a stunning resonant sound. Look up Boucher (Baltimore Md) and Ashburn (Connecticut): they were CARPENTERS who decided to start making innovative banjos and guitars around the 1830's that are among the most sought after collectible instruments today. This banjo cost about 20 dollars to make: the tuning machines were $1.85 a piece, the fret wire was $5, and the box and neck were free. It uses a hard maple neck from a tree that blew down in a storm. Finish is spray krylon laquer. Anyway, thanks for the entertaining and informative work.